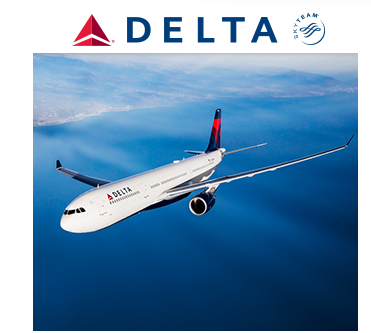 For a limited time you can get in on a very good AIR MILES redemption offer to save you money if you fly on Delta Airlines or some of their European partner airlines. AIR MILES members can redeem 250 Reward Miles in exchange for a US$50 Delta Airlines eVoucher that can then be used towards tickets booked on www.Delta.com for flights originating from Canada and operated by Delta, KLM, Air France or Alitalia. That's right, its not just for Delta Airlines but Delta code share flights to Europe out of Canada on those three European airlines. 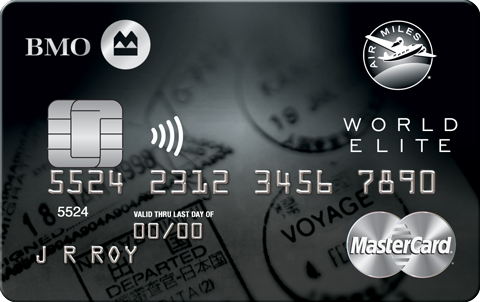 With the Travel Voucher having a value of US$50 or approximately C$66 and only having to redeem 250 AIR MILES Reward Miles for it means you are getting a return of about 26 cents per Reward Mile! We typically value AIR MILES Reward Miles at 11 to 15 cents each so you are pretty much getting double the value of your miles with this offer. There are some limitations to the offer in that each AIR MILES member can only redeem for a maximum of 2 eVouchers and you can only use 2 eVouchers per Delta Booking. Really this means you can redeem 500 Reward Miles to get US$100 off a booking made on Delta.com. The vouchers expire on May 31, 2018 so you only want to order these if you know you are going to buy Delta, Air France, KLM or Alitalia tickets by then. When you do go to book the minimum ticket price has to be US$50 which seems to be a given. You can only order the vouchers online on airmiles.ca and you have until July 25th to do so or when supplies run out. 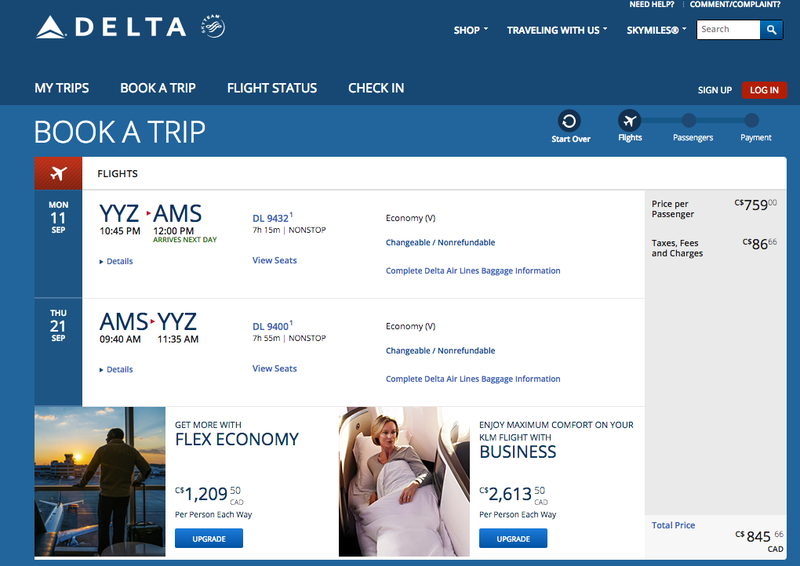 Here is an example of a KLM flight that you can book on Delta.com for travel between Toronto and Amsterdam. If you ordered two vouchers you could bring the price down to just over $700 from $845. This is one of the best AIR MILES redemption offers we have seen in a long time as you get great value per Reward Mile redeemed and since you buying revenue tickets via Delta you can earn your SkyMiles, Flying Blue Miles, or other SkyTeam frequent flyer miles on these flights! Hurry though as there seems to be a limited amount of vouchers available so you'll want to redeem sooner than later for them! Find out more and redeem your AIR MILES for these vouchers here.